Fried food is traditionally eaten on Hanukkah in commemoration of the oil that miraculously burned for eight days when the Maccabees purified and rededicated the holy Temple in Jerusalem. 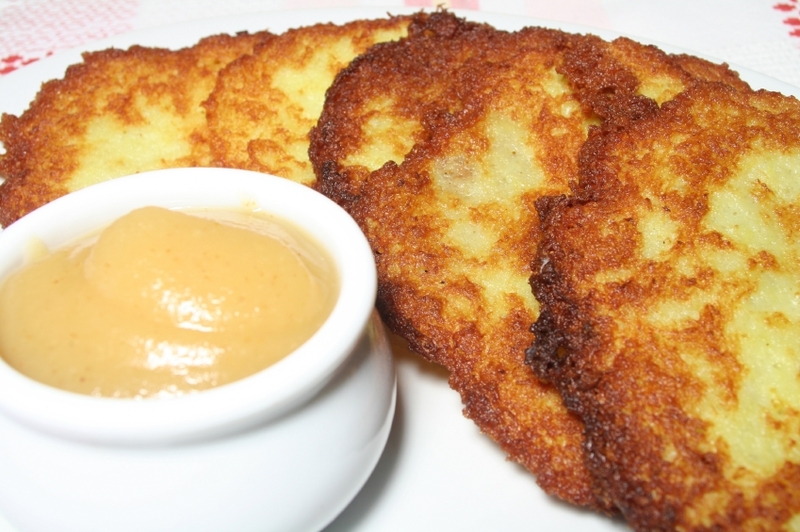 Fried Potato Pancakes (called Latkes in Yiddish) are the hands-down, mouth-open holiday favorite. Here’s a healthier version made from sweet potatoes. In a large bowl combine potatoes, egg substitute, scallions, honey, cinnamon, pepper, salt, flour, and garlic. Work mixture with your hands until thickened. Form into 2-3 ounce patties and press thin. In a large frying pan, heat 1/4 inch of oil until hot. Fry patties until golden brown on both sides.